Increase your websites popularity within the leading search engines, generate additional website traffic from potential customers and increase conversions, enquiries and sales through this widely popular package, exclusively available from Get to Page One Ltd.
Additional Pay Per Click marketing can be incorporated to these packages please contact us to discuss further. We will design & build your satellite sites based on the style and design of your brand, colours, logo & existing website. They are designed to focus on a specific focus keyword. Domain name, urls, page content and up to 16 keywords and phrases pertaining to your focus keyword on each site. Either create each satellite site to focus on a product or service you offer or target multiple areas that you operate. They will all link to one another and in turn link to your main website. Ensuring your website gets picked up naturally on Google and the other search engines. Through this process you will see an improvement in natural rankings and positions online for your main website. 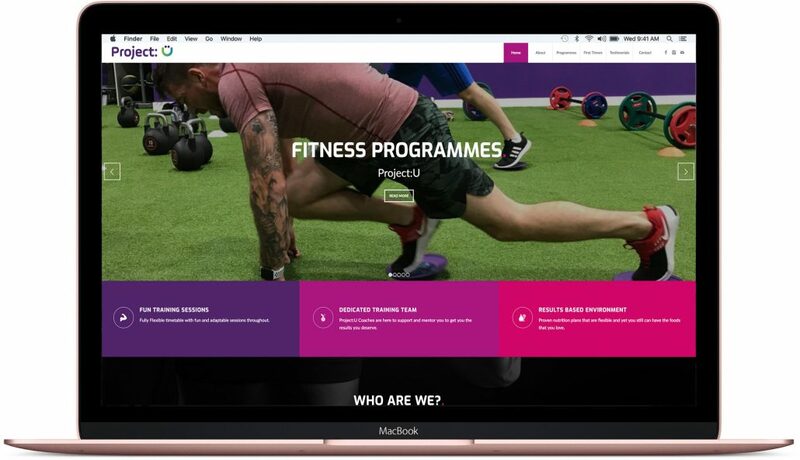 The satellite sites themselves will push your main website up the pecking order and increase how often your website is indexed and catalogued, meaning new pages and content updates get noticed and picked up faster and quicker online. 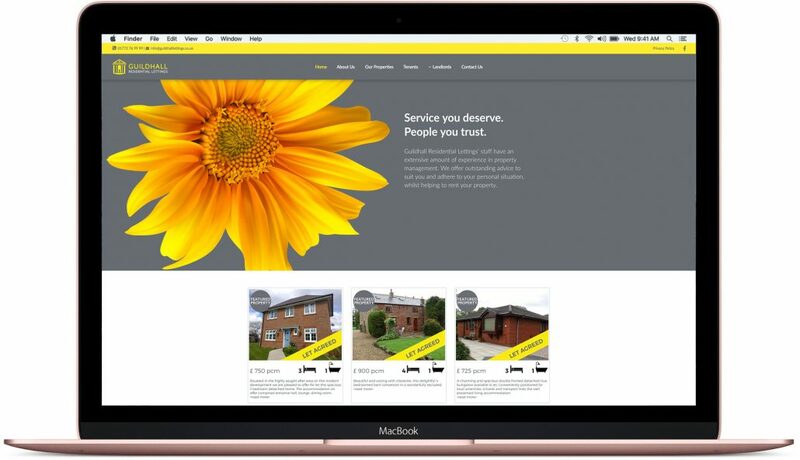 They’re designed to generate enquiries from any web traffic they get, so customers are inclined to pick up the phone or use the contact form / website to get in touch with you. But more importantly, to aid with natural website traffic and search engine ‘bots’ to follow the links to your main website and index your website’s more regularly and improve your natural positions, overall web rankings & SEO score. 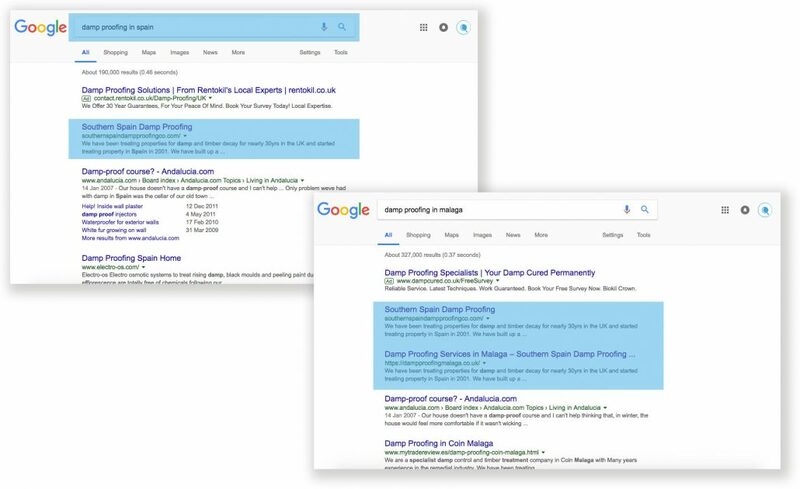 This image is to illustrate how our Satellite SEO Package can impact on your websites natural rankings and improve positions on Google and other leading search engines. 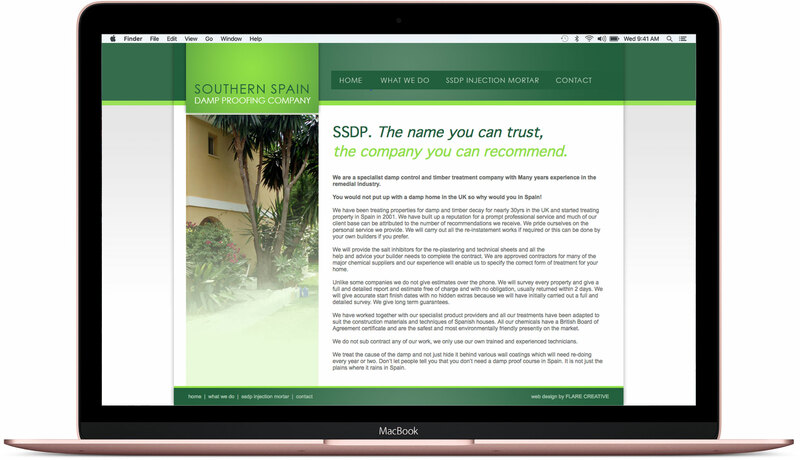 You can see that for the search term ‘Damp Proofing in Spain’ Southern Spain Damp Proofing’s website appears at the top of Google underneath the paid adverts, for free 24 hours per day receiving unlimited clicks. 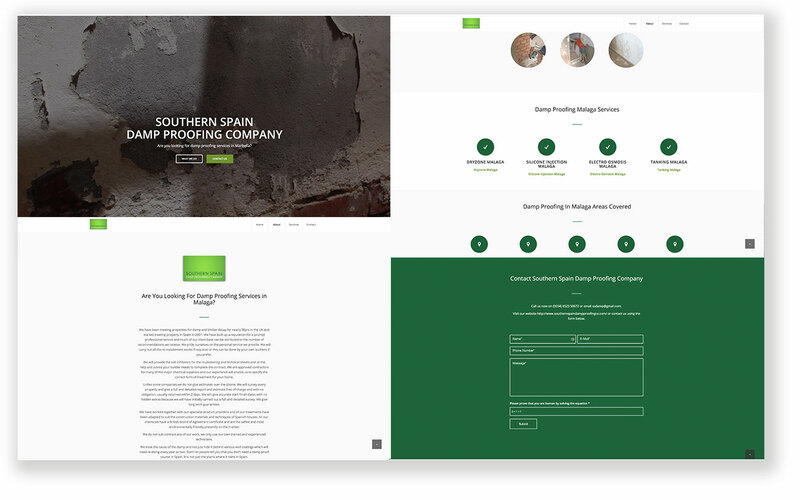 The second image shows how they appear for a more localised key phrase “Damp Proofing in Malaga”. You can see them appearing naturally as the first natural listing, sitting directly underneath it is their satellite Site targeting Malaga pushing it up and helping them monopolise this area with the first two natural listings on Google, 24 hours a day with no ongoing recurring monthly costs. This is the same for all 5 of there main focus areas and targeted regions. 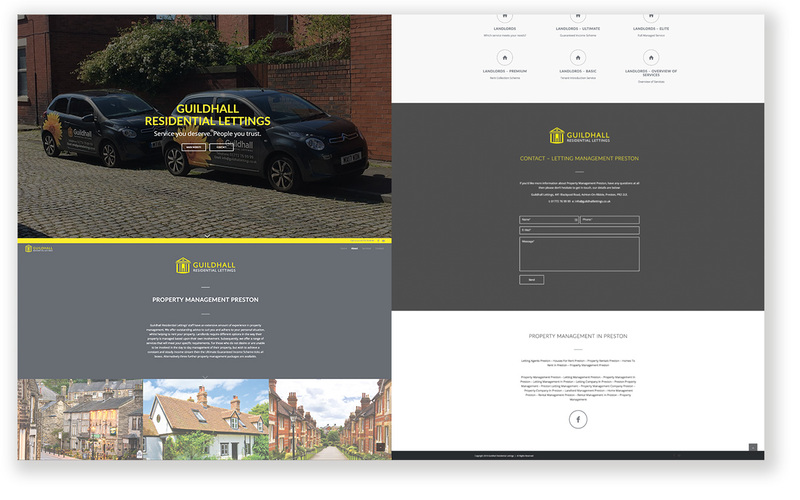 Guildhall Lettings were in need of an improved mobile responsive website and to improve their natural rankings on Google. Since taking advantage of our Satellite SEO Package website traffic and rankings have improved considerably. 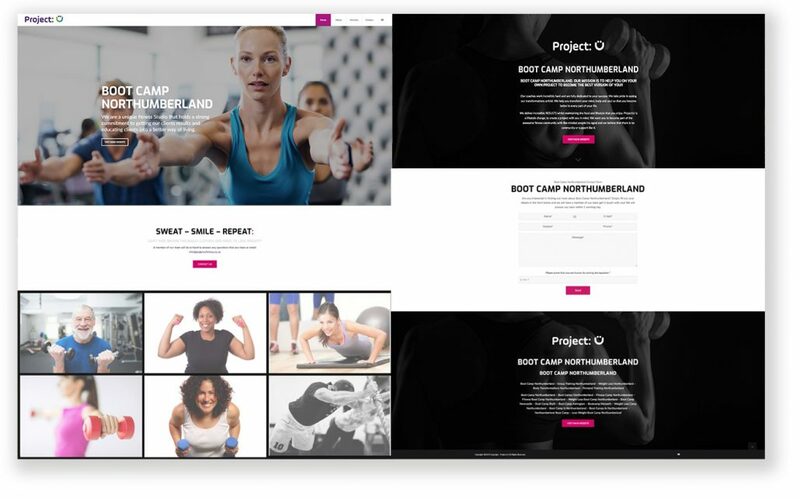 Project U fitness were a start up business and needed a boost in web traffic and rankings on Google. Since taking out a Satellite SEO Package they generate website traffic and clients through their website with no monthly advertising costs.